A poor CIBIL score can put you in trouble in more ways than one. You imagine yourself doing everything right to keep up a high CIBIL score, but one fine day during a periodic check of your CIBIL score you discover that it is lower than you would imagine it to be! If you are financially conscientious you probably know by now that you need to maintain a good CIBIL score of 750 and above (out of 900). In this credit dominated world, your credit behaviour or how you service your credit has assumed immense importance. A poor CIBIL score can put you in trouble in more ways than one. You imagine yourself doing everything right to keep up a high CIBIL score, but one fine day during a periodic check of your CIBIL score you discover that it is lower than you would imagine it to be! One of the factors that impact your CIBIL score is your credit utilisation ratio. Even if you are making your payments in full within each billing cycle but are spending more than 45-50% of the total credit limit that has been sanctioned to you, it means that your credit utilisation is considerably high and is responsible for bringing your score down. What you should do- For starters, make multiple payments throughout your billing cycle, if you cannot bring your spending down. Your effort should be to keep your credit utilisation no more than 30%. If you have a penchant for applying for credit cards because you think you can do with more reward points you are definitely calling for trouble! Even if you think you can manage your finances very well and would never overspend on your cards, it’s time to put a stop to this habit. Every time you make an application for fresh credit, there is a hard inquiry on your CIBIL report and each hard inquiry brings down your CIBIL score by a bit. Besides, too many hard inquiries on your credit card makes you seem credit hungry ad may deter lenders from giving you a loan when you are really in need of one. What you should do- Do not apply for every credit card offer you come across. Apply for fresh credit only when you are in need of it. If you have just started your career and have taken your first credit card or have just been servicing a loan for a few months do not be taken aback if your CIBIL score is low. One of the factors that influence your CIBIL score is the length of your credit. 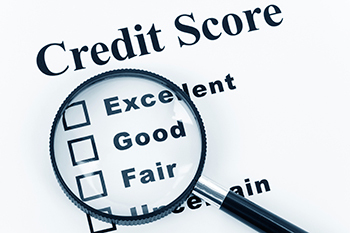 If you are new in the world of credit you do not have a track record to show for. There is no reason to worry for this particular reason though. Your CIBIL score will increase soon enough, so long as you are servicing your credit lines on time. What you should do- The first and golden rule of credit usage is timely repayment. Apply for credit only when you are in need of it and make sure you are servicing these credit lines on time as has been stipulated by the lender and agreed by you. If you have not checked your CIBIL report in a long time, do not be surprised if you find an error in them that is responsible for bringing your score down for no fault of yours. Do bear in mind that both banks and credit bureaus have to handle a large amount of data and slip ups are pretty common. The onus is on you to comb through your CIBIL report carefully for errors and raise a dispute as soon as you come across one. Depending upon the nature of the dispute you have raised it may take a week to a month to get it rectified. What you should do: Apart from raising a dispute if you come across an error, you should run periodic checks on your CIBIL report to ensure that there are no chances of discrepancies creeping in. As you can see, your CIBIL score can dip for a variety of reasons. The antidote to it is pretty simple however. Just make sure that you are following the basic rules of credit usage and carry out periodic checks on your CIBIL score and report. That should prevent your CIBIL score from dropping in the first place!